Next week the American Printing History Association (APHA) will hold its annual conference at RIT. This year’s theme is “Printing on the Handpress & Beyond,” and the lineup of speakers and workshops looks great. It will also be the perfect place to debut my new children’s book about letterpress printing, Amelia Prints a Greeting Card. With photographs and simple language, the book follows Amelia Hugill-Fontanel through the process of printing last year’s RIT Cary Collection holiday card. 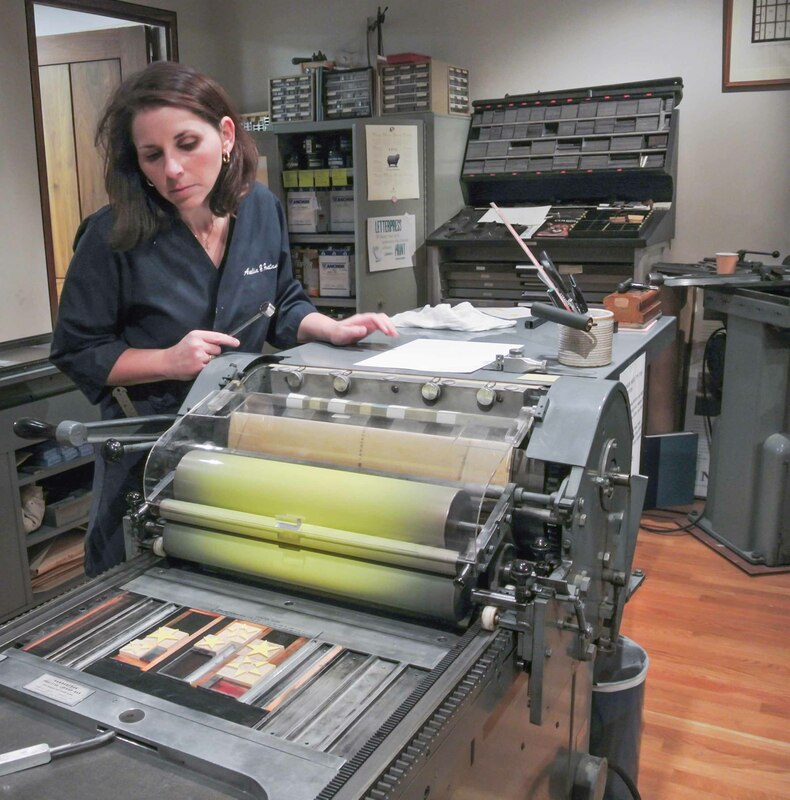 While the language is very basic, all the correct letterpress terms are used, so it can also serve as an introduction for someone of any age who is new to letterpress printing. Now that the presses are all cleaned up and ready for workshop participants, Amelia is gearing up for the more academic side of the conference. Tomorrow I’m going in to RIT to help her “stuff bags” for attendees. Sounds like fun! This entry was posted in letterpress printing and tagged type. Bookmark the permalink.